“The telcos keep on doing the same thing, they get arrogant and then they get disintermediated,” MasterCard’s Jorn Lambert has told The Australian Financial Review. 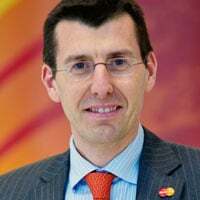 Mobile network operators are the reason NFC payments are yet to take off, Jorn Lambert, group head of emerging payments for MasterCard in Europe, has told The Australian Financial Review — and suggested that phone makers are now better placed than carriers to bring NFC to market. He said the problem centred around the “secure element”, which has traditionally been stored in the chip or magnetic stripe of plastic credit cards. While telcos want to charge banks to store it on SIM cards, financial institutions have claimed this would be too expensive. “So therefore you need either [a vendor like] Samsung or the telco, and it’s not a technical impediment but a commercial impediment,” he said. “The telcos are about to be passed by because the manufacturers have realised they can also install the secure element. Lambert’s comments follow a couple of weeks of negative news for NFC payments. British retail giant Tesco suggested that NFC might be past its sell-by date and US retail group MCX announced it had chosen to use barcode technology for its new mobile wallet platform. It’s not all bad news, however. A retailer in France has placed an order for 3m NFC tags and 1m NFC stickers are also on their way to Africa, for a new payments and banking service.